Find complete recipe ingredients and additional instructions on my Cake page. 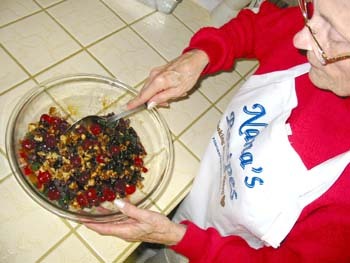 You'll also find a Chocolate Fruitcake recipe on my Chocolate Cake page. 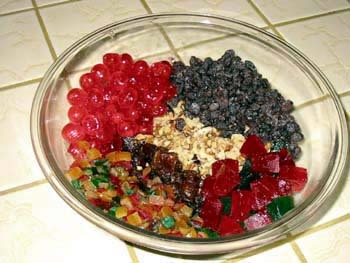 In a large mixing bowl combine all fruits and nuts. 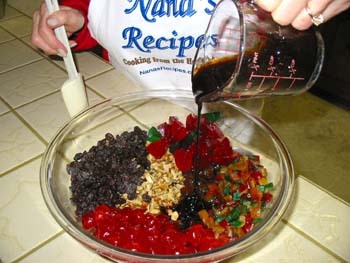 Add wine (or fruit juice) and molasses to the mixture.